A friend told me this week that she heard from her Mexican relatives that this time of year offers the most transparent veil in the atmosphere, which is why the spirits can more easily return. 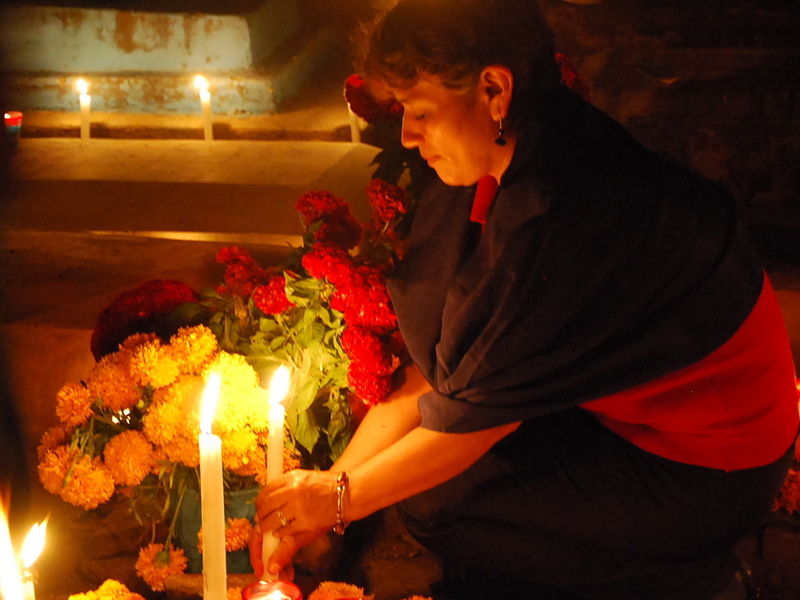 Welcome to Dia de los Muertos — Day of the Dead. We do Halloween up big here in the USA. One day. Trick-or-treat. Spend billions on the holiday (costumes, candy, decor) and most of us have no idea of the origins. 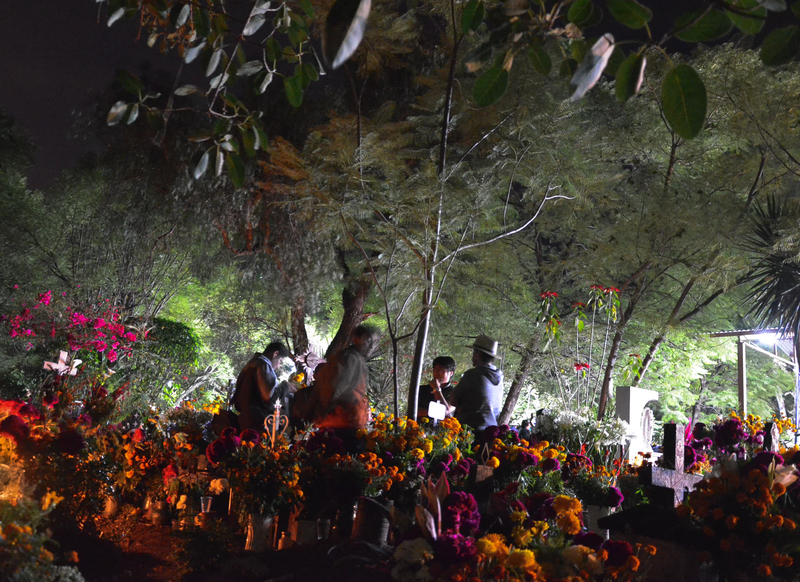 In Latin countries — the Americas and southern Europe — where Catholicism took hold, the season gives us three days to honor and remember loved ones and ancestors, many who we did not know but appreciate for our heritage. 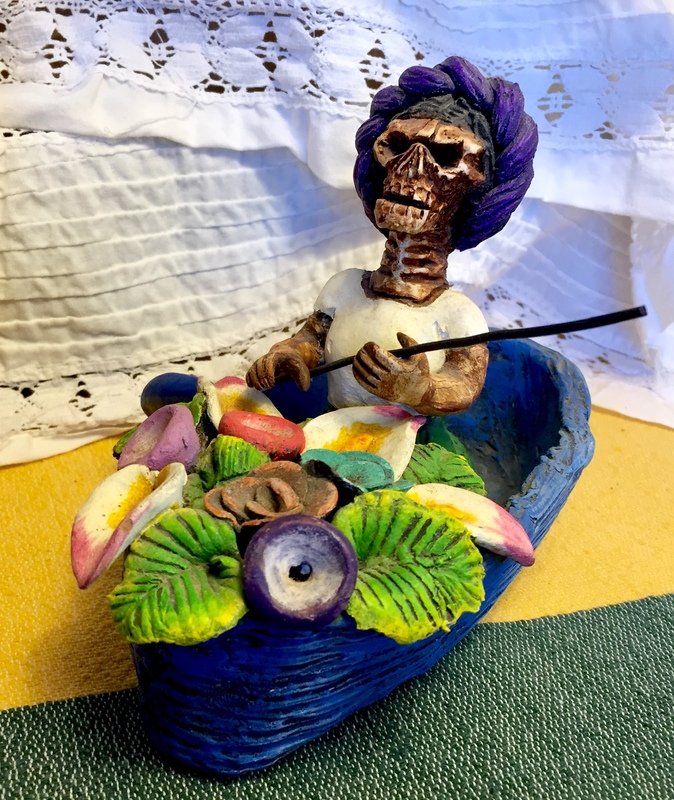 I’m preparing for Dia de los Muertos on November 2, when the spirits return to their graves. I’ve ordered a mix of fresh tamales and pan de muerto from La Superior. 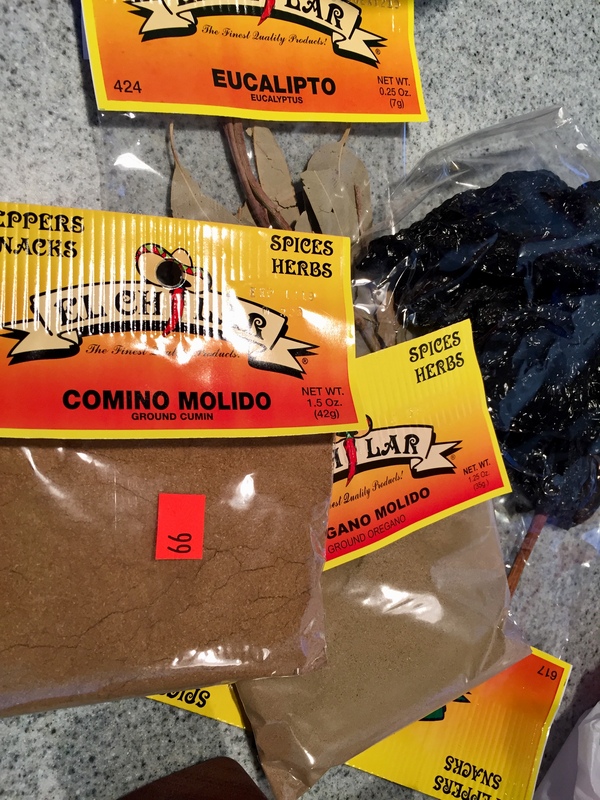 I’ve shopped at the best Latino supermarket, Compare, fully stocked with all needs Mexico. I’ll make slaw and apple pie, using my mom’s pie recipe. My menu includes pozole verde with chicken (see Serious Eats recipe) that I will start today. I’m a make-it-up-as-you-go-along cook. I usually consult several recipes, look at the ingredients I prefer (they always vary according to who is cooking), and then go at it. Innovation is important to me. Here is a good one from Epicurious. 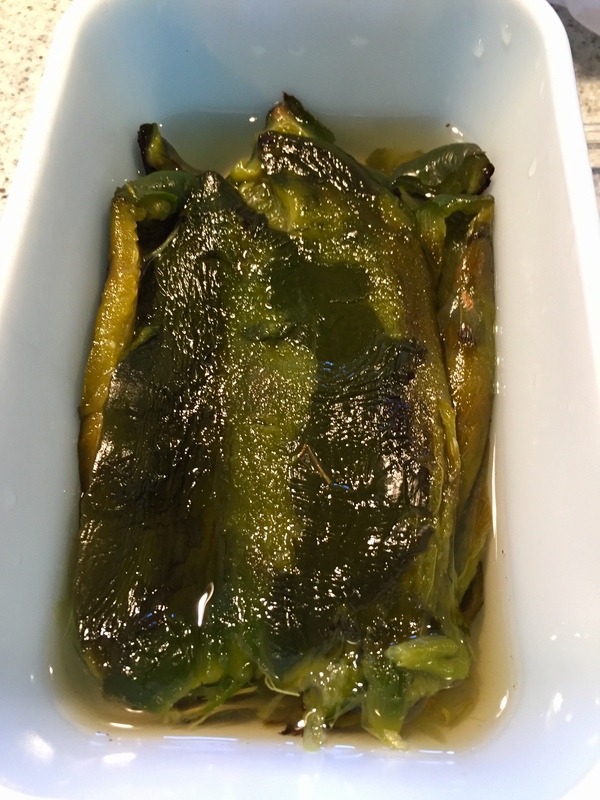 The stock for the pozole verde (click for Bon Appetit recipe) is a tomatillo, onion, garlic, carrot, chili poblano, Mexican oregano, and bay leaf base. I simmered all these ingredients together first for about an hour. 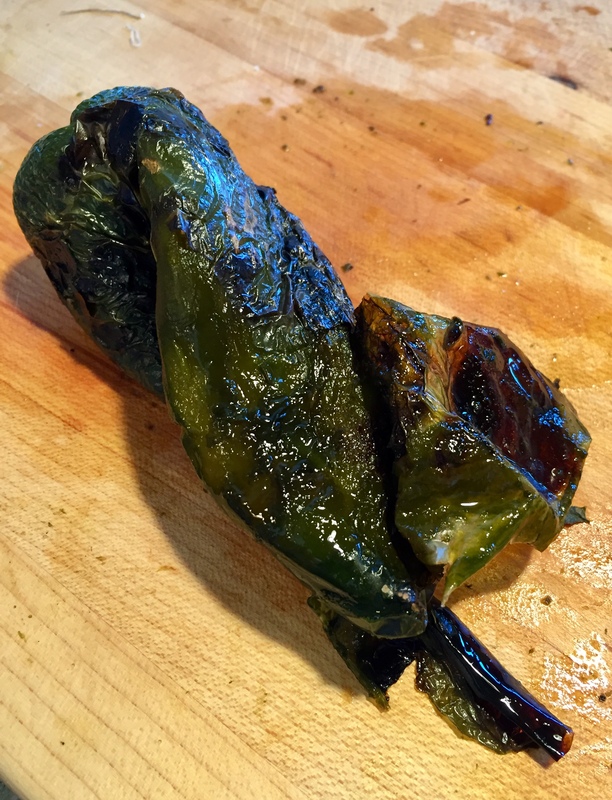 Warning: the poblano needs to be charred on a griddle or over a gas flame to peel off the tough skin. 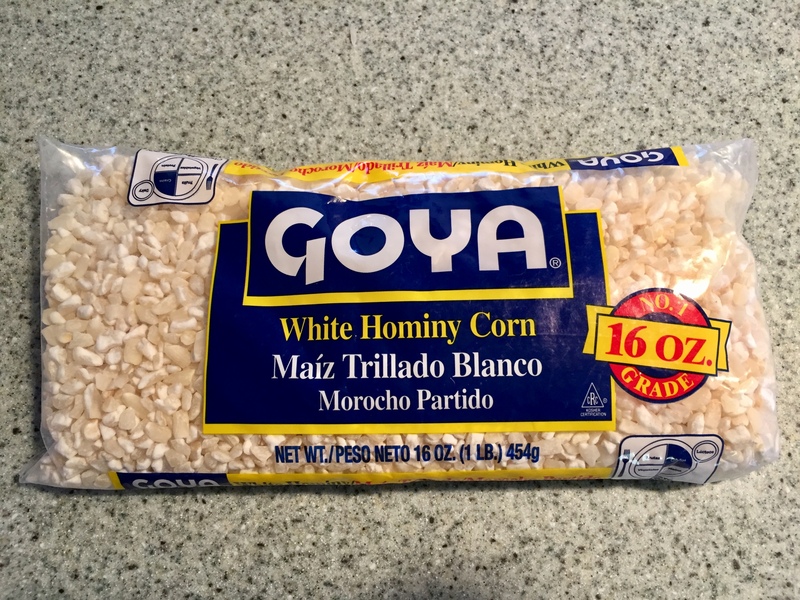 Tomorrow, I’ll add the hominy that I will have soaked overnight and then cooked. I’ll also add cooked organic chicken leg meat, using the stock for the base, and shredding the meat off the bone. Add salt and pepper to taste. 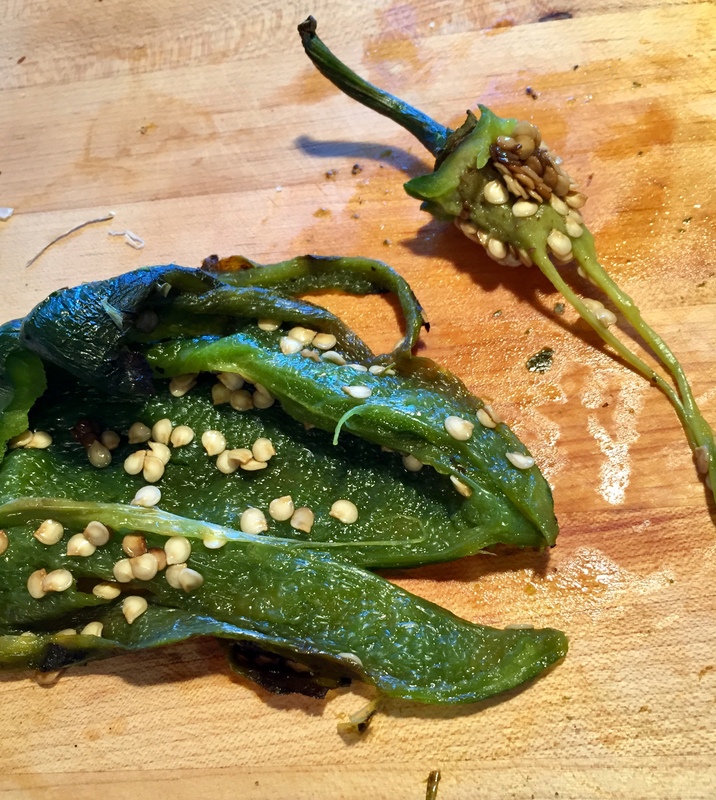 Slice poblanos and add to pot. 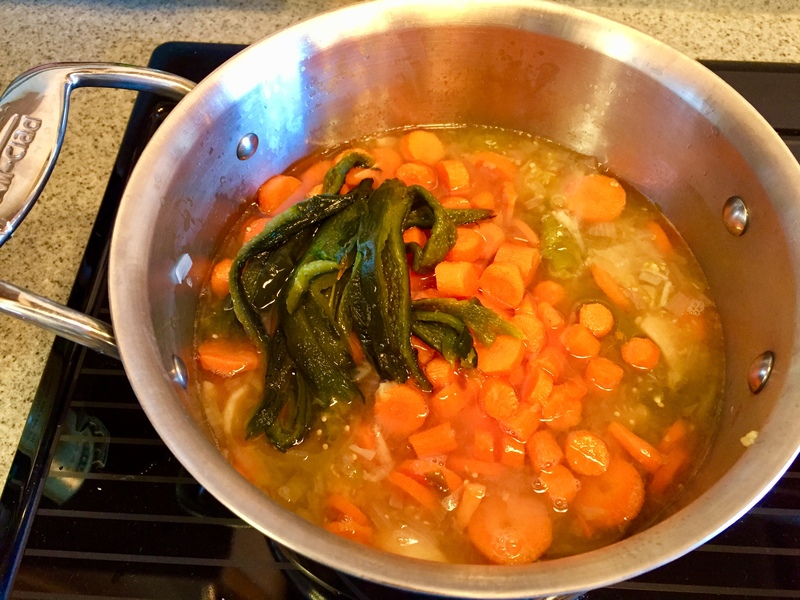 Simmer until carrots are fork tender. 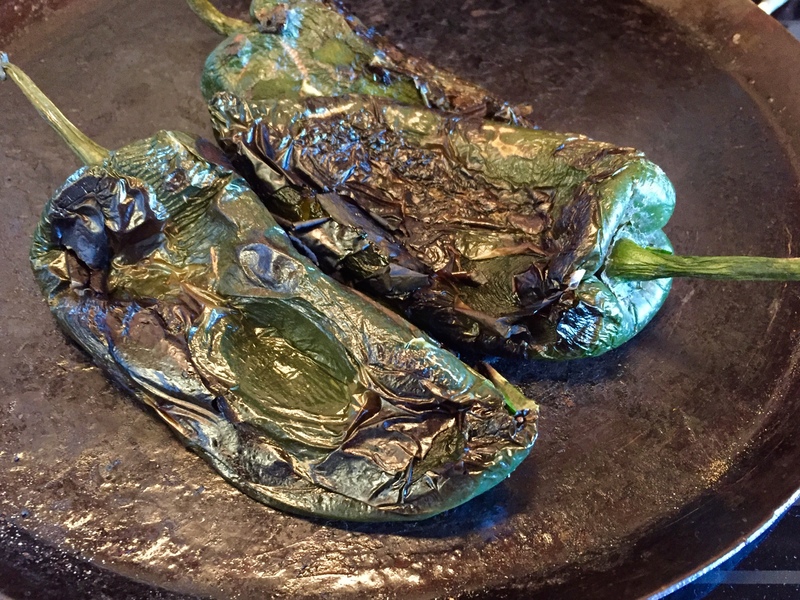 Garnish with sliced radishes, shredded cabbage, and thin sliced jalapeño peppers. Ready to eat. When prepared a few days in advance, the flavors have a chance to mingle! You can actually add the seasonings and hominy to the base above, simmer for flavor development, and keep the chicken aside to satisfy the vegetarians. Watch the heat. 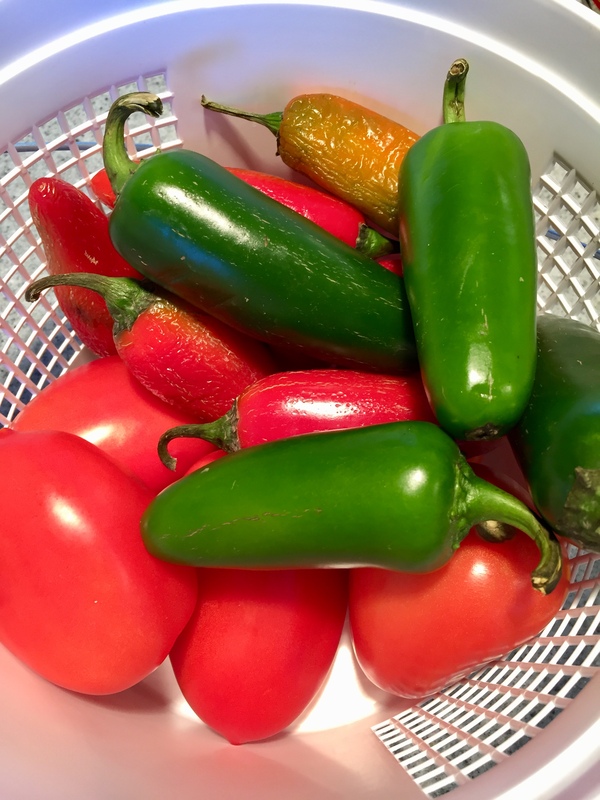 Use peppers for garnish to accommodate taste. Food is comfort and memory. This is why we love the celebration of holidays, to remember the meals around the table, who was with us. We remember Halloween for costumes (homemade, then), whether we could fill the bag completely with candy, where we went for the best neighborhood hand-outs. I add a eucalyptus (bay) leaf to the stock. I remember the rustling of the eucalyptus trees in the wind that bounded the vast orange tree orchard across the street from where I lived in the San Fernando Valley. That was when the orchards of oranges, lemons and walnuts were plentiful, before the great migration of settlement that turned it all to concrete. I was scared. The aroma was heady, the kids held each others’ hands. The time when parents had little to worry about when the treat was an apple.